Donald Trump said Monday that he would like to punch a man in the face for protesting against him. The latest comment by the Republican presidential candidate at his rally in Nevada followed an incident last fall when supporters at one of his rallies punched and kicked a protester from the “Black Lives Matter” movement. “I'd like to punch him in the face,” Trump said Monday, according to CNN. “He's smiling, having a good time.” Trump also added that the protester, who was escorted out of his rally, was “nasty as hell,” and claimed that he was hitting the security guards. However, CNN said that it did not appear to be that way and added that it was also not clear what the protester disrupted. 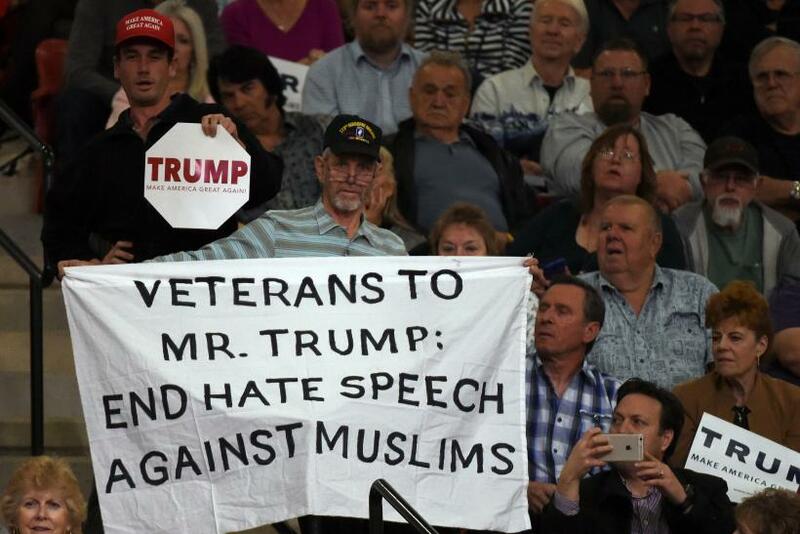 Another man was reportedly seen holding a placard reading: “Veterans to Trump: End hate speech against Muslims,” just moments before the security guards took the protester out, CNN reported. A day after the rally where the Black Lives Matter protester was beaten last fall, Trump had said about the man that “maybe he should have been roughed up.” However, his campaign later started asking supporters not to show violence, CNN reported. According to a report by the Guardian, Trump enjoys a double-digit lead in Nevada, which, like Iowa, assigns candidates through a caucus instead of a straight preliminary vote. 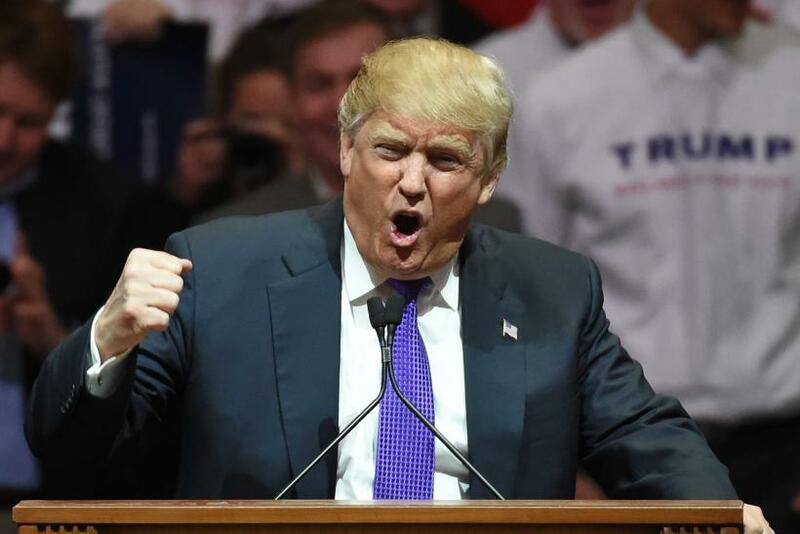 Trump has so far won in two states — New Hampshire and South Carolina — and media reports say that his support may just keep increasing until the elections on Nov. 8, 2016. Donald Trump will destroy the USA as he is "making America Great Again" No Morals, no shame, heartless, demagogue. He is dangerous not good.